The Craft Happenings began as an event and performance platform for Mothers Of Purl, a knitting group started during my 2 year artist residency with Multi-story. Craft Happenings were events that provided a space for exchange of traditional craft skills, notions of function and the crafted art object. The events aimed to bring the refugee and asylum seeker community and the wider local community together to make connections, share stories and skills through knitting, crochet and embroidery. 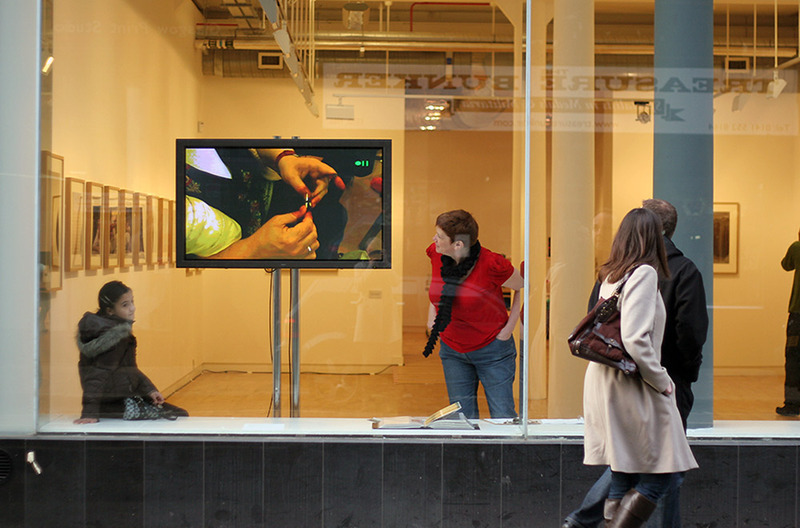 Multi-story is Street Level Photowork‘s collaborative arts programme based in North Glasgow. I consider these events live participatory performances that focus on the process of communication and making. There is often a live video feed projected elsewhere in the area, away from the knitters. 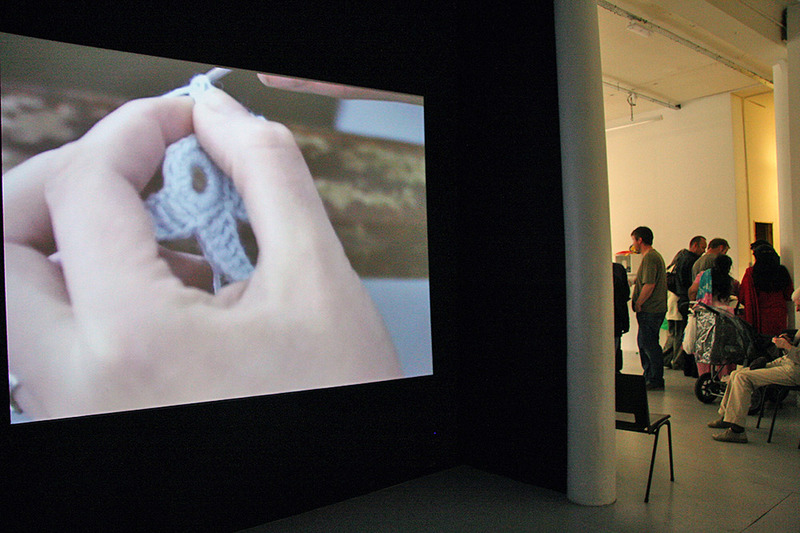 Hands are filmed close-up, the projection thus showing giant knitting needles, hands and wool, the hands seemingly like an independent being with a distinct personality as the knitted piece grows and takes shape. There were three Craft Happenings across Glasgow between 2008-10.